DAYTONA BEACH, Florida (AFP) ― New Zealand teen Lydia Ko was named the LPGA Rookie of the Year on Wednesday, the two-time 2014 winner becoming the youngest player to ever claim the award at 17. 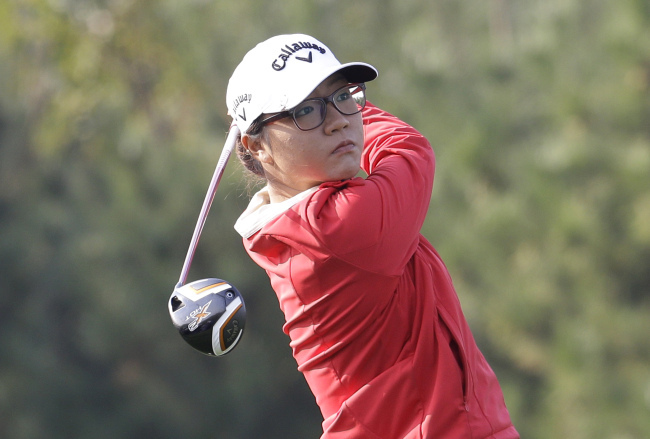 The South Korean-born star won the 2012 and 2013 LPGA Canadian Women’s Open titles, becoming the youngest winner of an LPGA event at age 15 and then defending that crown, although both wins came as an amateur. Ko was given a special exemption in October of last year to join the LPGA, the tour waiving its age minimum of 18 because of her proven proficiency. This season, Ko has clinched top newcomer honors with two events remaining on the calendar, this week’s Lorena Ochoa Invitational and next week’s Titleholders tournament. Ko won the Swinging Skirts LPGA Classic last April by one stroke over American Stacy Lewis and in July took the Marathon Classic by one shot over South Korean Ryu So-yeon. She also has two runner-up efforts and nine other top-10 finishes this season for 1.25 euros ($1.56 million) in prize money. That list includes such Hall of Fame players as Swede Annika Sorenstam, Australian Karrie Webb, South Korea’s Pak Se-ri and American Juli Inkster. Ko, whose 40 made cuts in a row is the longest current streak on tour, is only the eighth newcomer with multiple wins to take Rookie of the Year since the award’s inception in 1962.